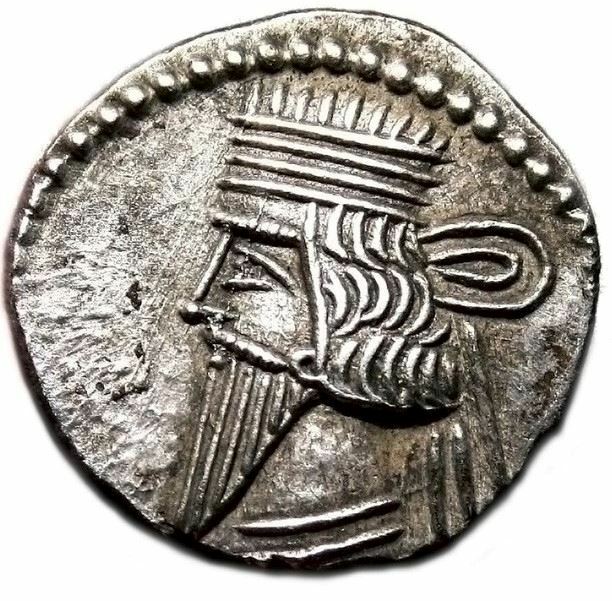 Vologases III was a Parthian Prince who claimed the throne of the Parthian Empire about 105, in the last days of Pacorus II of Parthia (80–105) and reigned over the eastern portion of the kingdom to 147. He was the son of Vologases II. The period was one of civil war in the Parthian kingdom; for the early part of his reign Vologases III contended with Pacorus II's legitimate successors Osroes I (105–116 and 117–129), Parthamaspates (116–117), and Mithridates IV (129–140), who ruled Mesopotamia. Preoccupied by conflicts with the Romans, particularly the invasion by the emperor Trajan (98–117), they were unable to effectively challenge Vologases III. Following the death of Osroes I, Vologases III extended his rule through most of Parthia but had to contend with Mithridates IV, incursions of the nomadic Alans into Cappadocia, Armenia, and Media, and rebellion in Iran by an unknown usurper, c. 140. After Vologases III's death, the Parthian realm was finally reunited by Vologases IV of Parthia (147–191), the son of his rival Mithridates IV.